« What Shall We Say About Our Dictator? 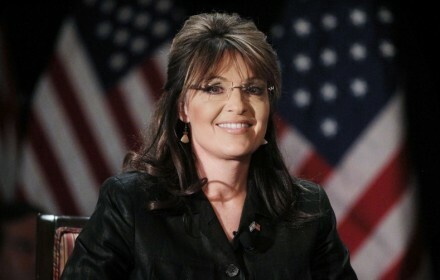 This entry was posted on Monday, July 25th, 2011 at 01:48 and is filed under Economics, Politics, Sarah Palin. It’s not often in American politics that the same old, tired, and worn clichés find new life. Most frequently, what we see instead is the same parade of excuse-making, masked behind a facade of novelty. Elections come and go, and in every election season in memory, as long as I’ve been observing politics, it’s presented to us as “the most important election in our lifetimes.” It’s said so often, with little to show for it, that it’s little wonder the electorate doesn’t get nearly so energized as the rhetoric promises. Every politician says it in some form, and commentators staking out a position will eventually get around to offering the premise, however well-concealed it may be. A full fifteen months ahead of our next presidential election, things may be completely different this time, and forgive me, but I’m now going to re-state all those tired clichés once more, in my own way, but unlike all the others you’ve read or heard, offering you rhetoric, but slim proof of their theses, I am going to tell you why this time really is different, and why the stakes are so high. This time, in the person of Sarah Palin, something extraordinary is happening. We find ourselves in the midst of the worst economic conditions in most of our memories. Even the few remaining among us who lived through the Great Depression will have done so as children and adolescents. A relatively small number of people among us have any clear memories of the collapse that heralded its arrival. One would be an octogenarian at the least, to have the most tenuous memories of that era. Our economy is now poised to become even worse, and to plummet even further than the 1930s. We know this because all the indicators of even a weak recovery are fading behind the glare of reality. Unemployment is surging, the housing market continues to fall, and the only thing aiding in the maintenance of the illusory ‘hope’ on which our nation had gambled is a massive infusion of borrowed money and stolen value being pushed into our markets. In short, Wall Street is happy, and a few companies are doing well, but in the main, and on Main Street, the situation is abysmal and deteriorating. Small businesses struggle with even the most diligent grasp on cash-flow, and state and local governments are being forced to lay people off despite temporary bail-outs and ‘shovel-ready projects’ that were neither so ready nor so easy to initiate as all the political marketing had promised. And you knew it. We continue to ship some of the value of our dollars overseas, in an attempt to stop the European Contagion of an impending financial domino effect as nations face insolvency and fiscal crisis. The scale of the looming crisis is unprecedented, for unlike the crisis of the 1930s, this looming disaster threatens not merely two continents, but the entire globe. Globalization has brought us to this brink, not because it’s inherent in the concept, but because it is an expression of the fallibility and moral weakness of man, propagated by globalization to every corner of our world. One of the standard and not entirely baseless laments of the left is that there has been a tendency to spread the risk without a similar distribution of reward. Unfortunately, their shoddy prescription is to ignore the cause and instead attack the effect. Simply put, you cannot spread unequally the burdens of the combined miseries of the globe without expecting this sort of outcome. If the Greek crisis falls into complete chaos, worse than is now the case, others will fall, one after the other until it strikes us too. The view and approach of the globalized banking industry has been to rob Peter to pay Paul, so as to rob him to pay Matthew, and each in his turn Mark, Luke and John. None will be spared the robbery, and the last will be left holding worthless loot. All of this is an outgrowth of an idea corrupted by statists. It is their moral weakness and the inevitable fallibility of their theory driving this disaster. It must be said plainly, and in the first instance, that statists never produce a thing of value. They are not concerned with production, and willingly cede the function to more able men and women(whom they hate.) Rather than participate in the production, they concern themselves with the distribution of the wealth derived from production. This fact makes of them the greatest free-riders in the universe. It isn’t their responsibility, you see, to produce or earn, but to take and spend in accordance with latest social fad or movement they can conjure. They claim resources, but never produce any. They seize profit but never beget one. At each stage of their looting, they skim a little more and then still more until they have left those expected to produce without the means by which to do so. They operate in stubborn opposition to the natural law that states none will long survive who consume but do not produce. This calamity of consequences, spread across the globe, into every village, hamlet and metropolis on the planet now virtually guarantees a global catastrophe so long as we remain bound to this course. Against this backdrop, now enters onto the stage a minstrel promising an acceleration of those calamitous policies, and you now see spreading before you the results. After thirty months in office, a period characterized by successive failures , that which could have been a temporary economic bust now threatens to become the economic tsunami that will sweep away civilizations. There will be no shelter against this so long as these policies persist. We may have temporary peaks along the way into our bottomless trough, but left as it is, there will be no Social Security or other entitlements to reform. There will be nothing, and it’s entirely likely, as the evidence mounts, that time really is as short as that. Even now, in the halls of Washington, they’re trying to fashion a deal, not because it will save the country, but because it will serve as one more brief postponement of the arrival of evidence of the impending collapse. It’s not designed to save you, but to put you back into a trance. The hypnotists know we’re staring down into the chasm of a permanent depression with all the attending chaos your worst post-apocalyptic imaginings can muster. All of them, every one, knows it. On a more hopeful note, (and we need real hope wherever we may find it,) something extraordinary is beginning to happen. In what can only be described as a groundswell of support, born in the hearts and minds of Americans who are dedicated to the premise that we need not follow into that good night, a prospective candidate, a lone star rising above a plain of the same old thing points the way. Look not to the South, but to the North. That star is a guide, and she is rising of her own powerful promise. She can show you the way home. She’s already told you, repeatedly, that the current prescription can lead only to more heartbreak. In her record as Alaska’s governor, she didn’t think it prudent for the state to be so enmeshed with the corporations that make a profit from their land, abusing their leases on that land. She told the people of her state that government must not obstruct the prosperity of its people. She didn’t believe the state ought to punish production because she knew that the bounty of all that could be produced would be an economic boon to her state’s people. She chased from the capital a cabal of statists in league with corporatists, and confronted an intransigent ruling oligarchy that cared only about a long term bleeding of the state and its resources, to the detriment and at the expense of her people. With a record like that, it’s really no surprise that after her national introduction, and a mostly favorable initial response from the American people, the cabal of statists in league with the corporatists in Washington DC would recoil in horror, and set out to destroy her at any expense. Such was the power of her message that she had to be silenced. The extraordinary something that has happened over the intervening three years is that the American people, long propagandized and prodded, have begun to emerge from their hypnotyic hibernation. This campaign, when it commences, will be like none other since the advent of radio, or the first use of whistle-stop train tours by the campaigns of old. The candidate herself has not even announced, and there’s no indication when she will. There’s only the growing thunder of a distant drumbeat, growing louder half in hope and half in certainty, that an announcement will come. The troops are forming on their own. Independent voices and leaders are looking at the records of all those who would stand for election, and have found none entirely satisfactory. They’ve begun to look to the North, knowing that star must rise in the gathering darkness. Tweets fly. Bloggers, like this one, clatter away at their keyboards. Text messages stir a clarion ‘bing‘ of arrival in smart-phones at the first glimpse of her, or any news even of her travels. In Iowa, on the ground where the first caucuses will be held, the whisper has grown to murmur and now constitutes a chatter. When she arrived in Pella, this failed president found it necessary to arrive in the state, in a contrived bid to steal some of her thunder. It didn’t work. The time of the Obama disaster is growing short. We will either replace him with a person who will guide our course by a different star, or we will plunge fully over into the abyss from which even our children will never know relief. Look around. Think about all you have seen. Consider all you know and everything your wisdom tells you. This time is different. For once, all the shoddy talk about the “most important election in our lifetimes” carries the note of real meaning. It’s the unmistakable sound of truth. You know it. Washington knows it. I believe Sarah Palin knows it too. Sarah Palin is a rising star in a sea of darkness. Reason why so many Americans love Palin is because they can identify with her, she speaks straight forward with no pretenses. She is us and we are her plain and simple. Her common sense approach is just what we need. And her “Game On”, and “Fight Like a Girl” and “You Betcha” will be all over the place very soon. Ed, that's very true. The time is coming! In order to look at the situation we are in here in the US as the glass is half full, we have to consider that Obam has brought to the forefront and exposed what has been actually happening behind the scenes to our country. Not it is time to face it head on, revive our constitution, what we stand for and get our country BACK.